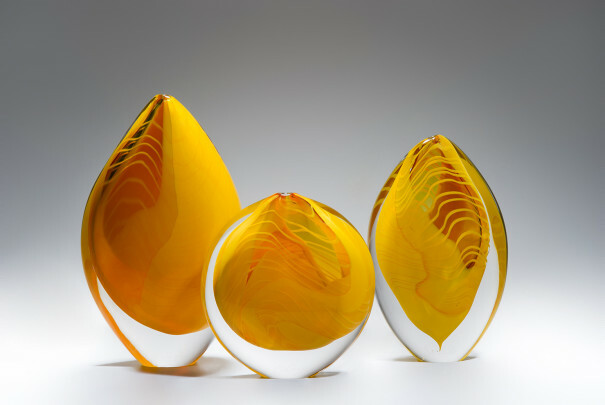 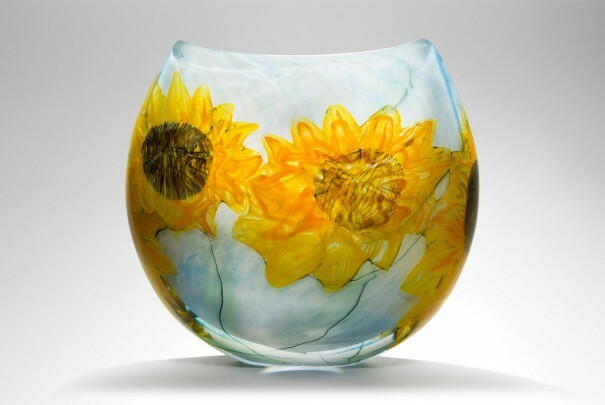 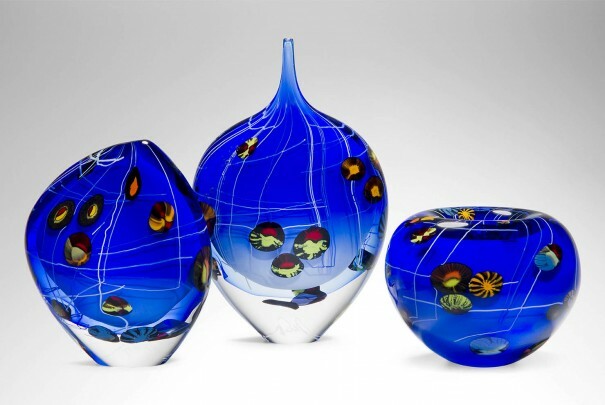 Peter has created a new series in partnership with the National Gallery, this one attempting to capture the essence of Van Gogh’s Sunflowers in glass. 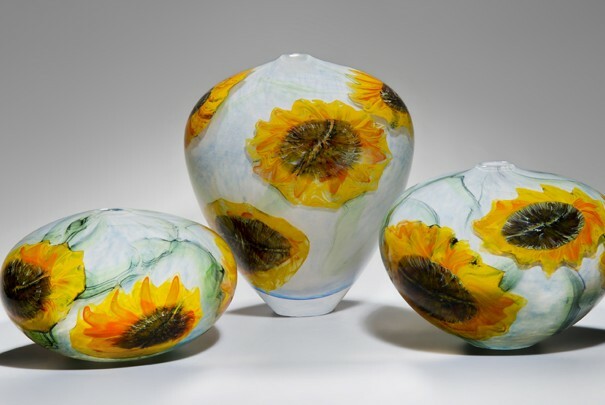 Painted in 1889 for his friend Gauguin’s visit to Arles, Van Gogh’s Sunflowers represent a joyful period in the artist’s life, which is conveyed through the painting’s bright palette. 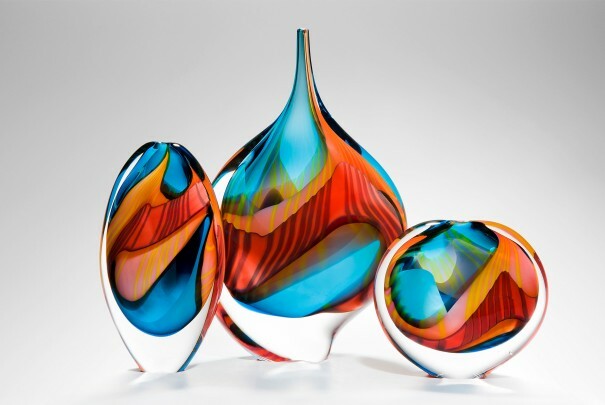 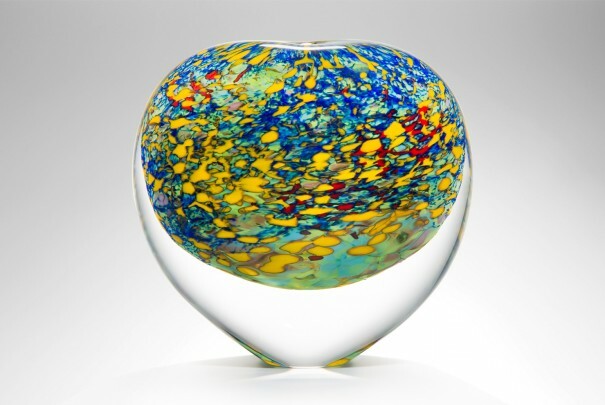 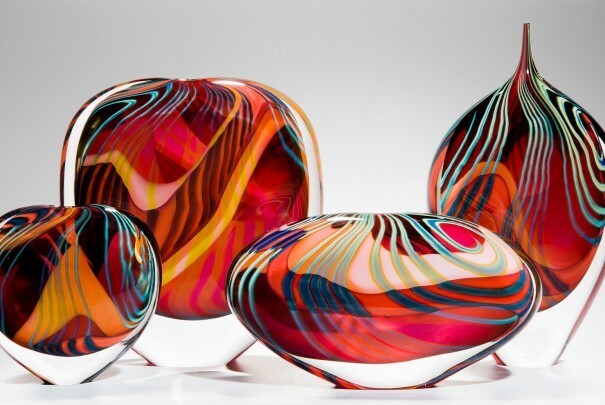 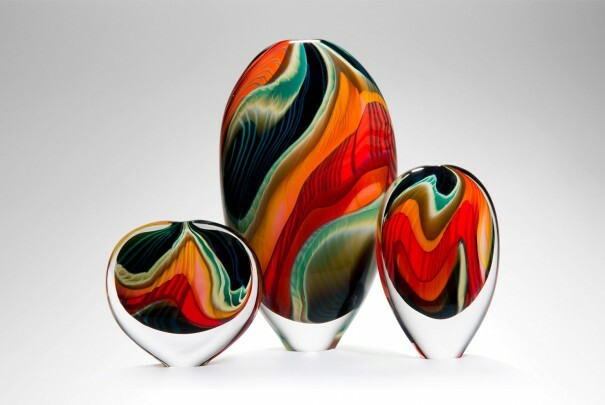 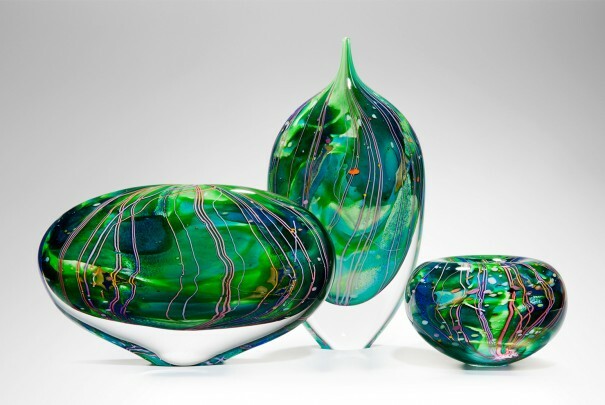 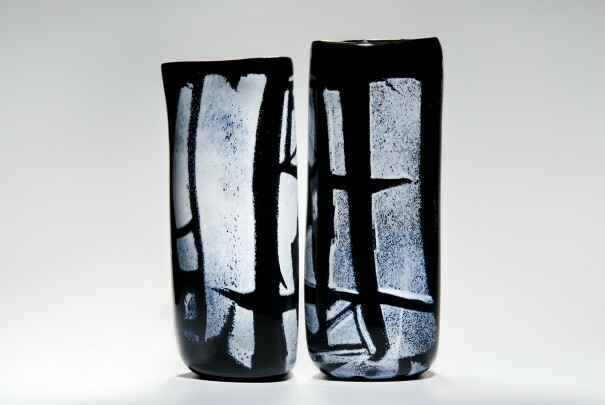 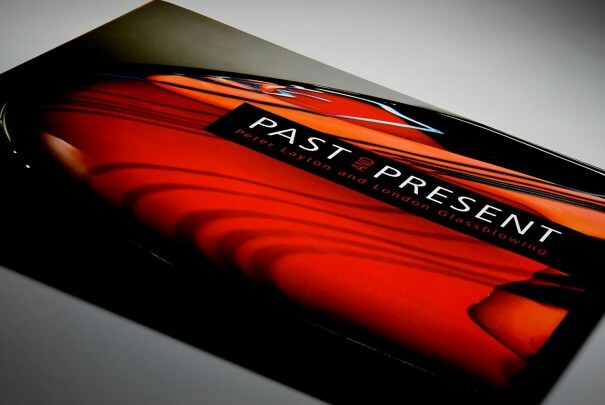 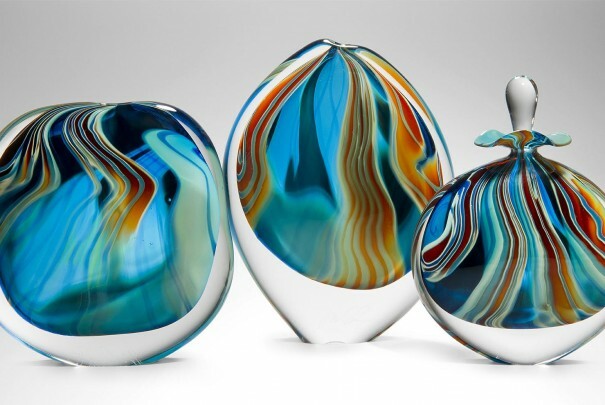 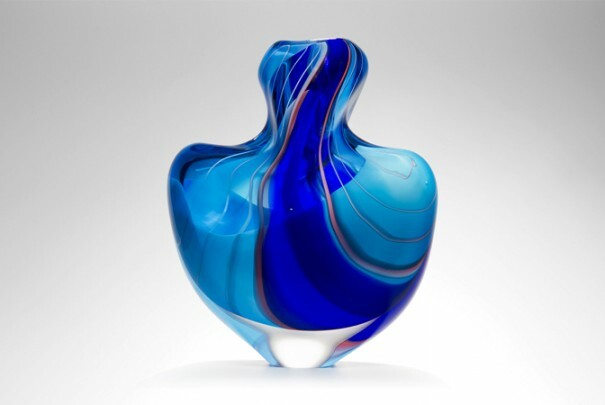 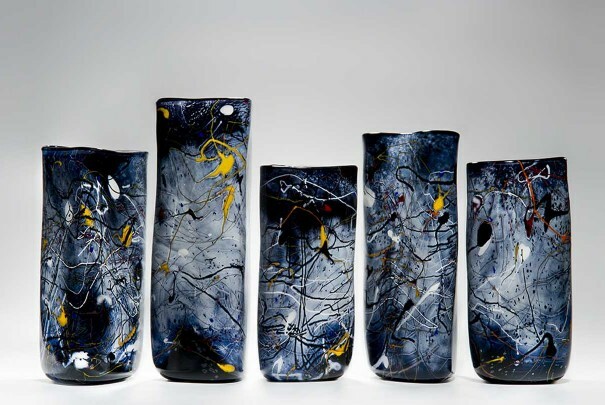 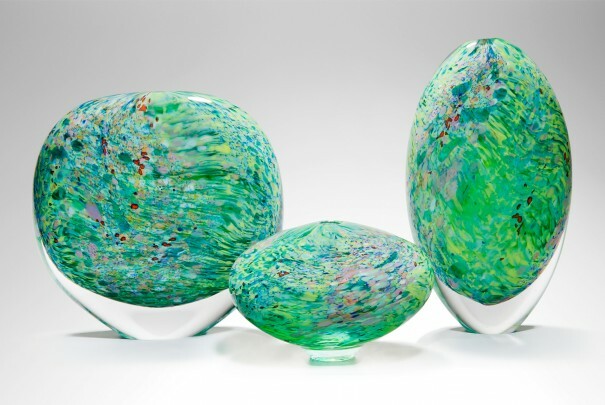 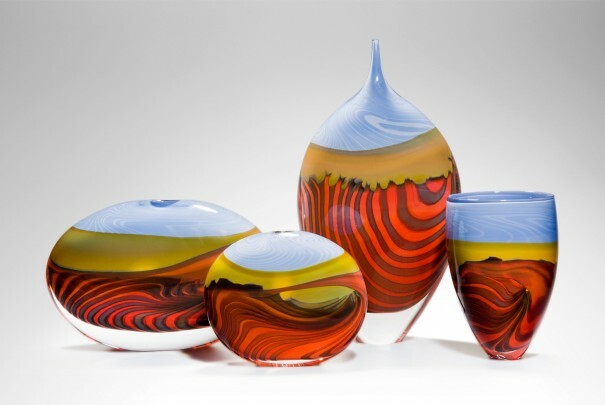 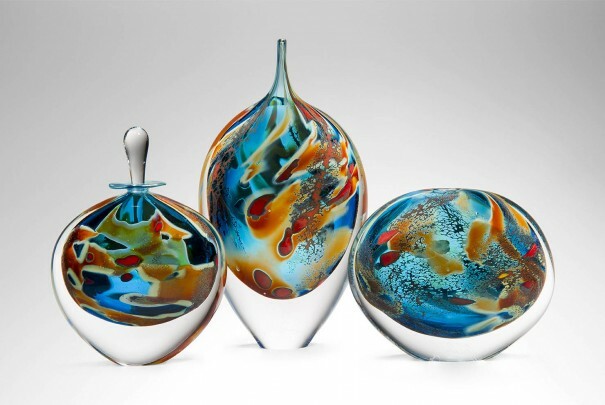 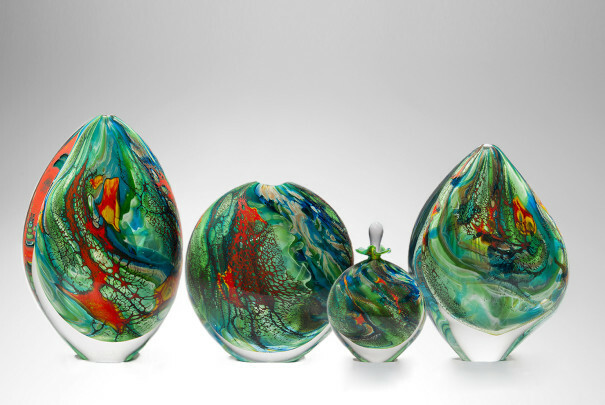 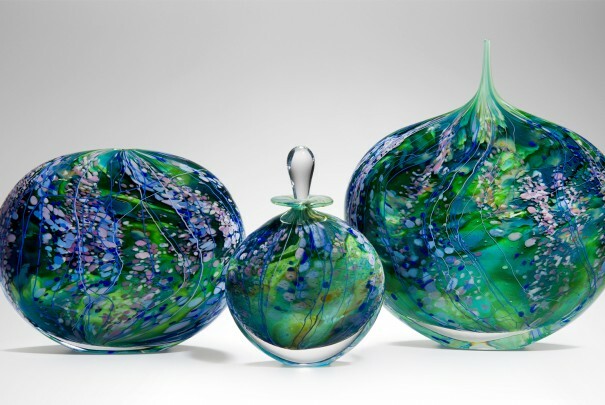 After countless experiments, Peter has produced a series that translates aspects of the Dutch painter’s masterpiece into glass. 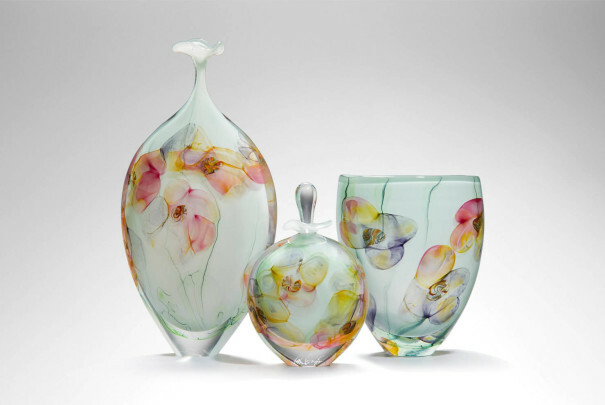 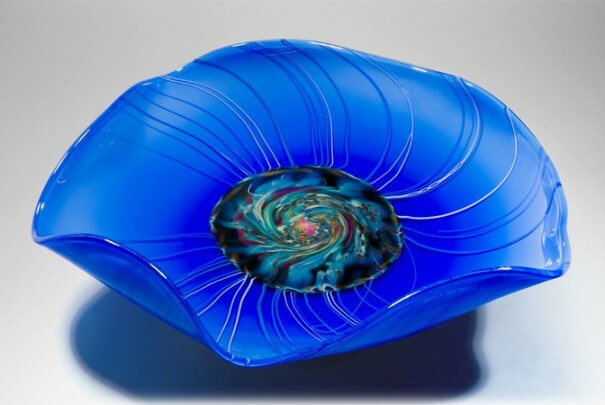 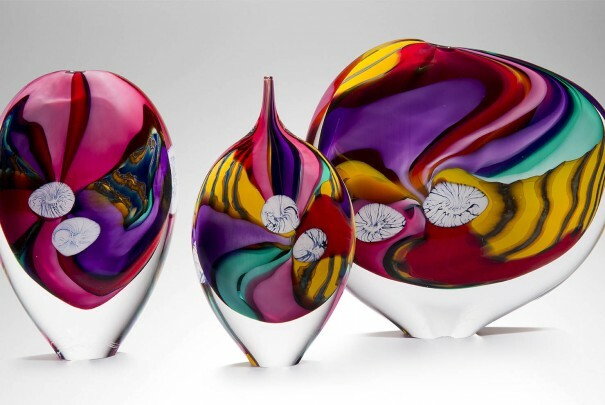 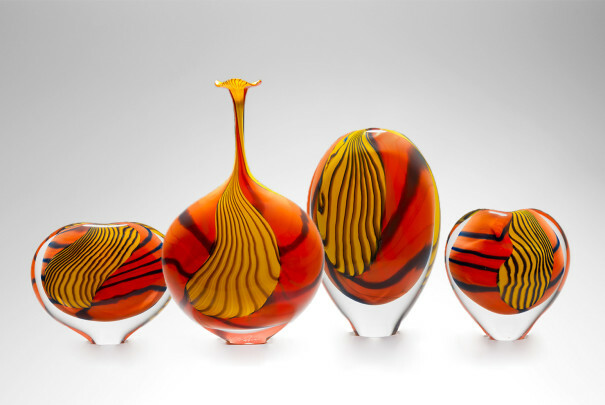 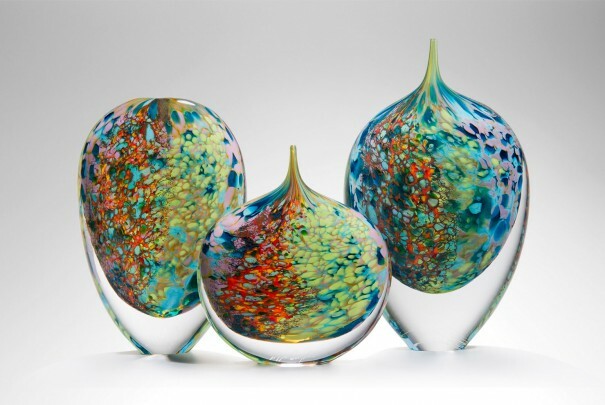 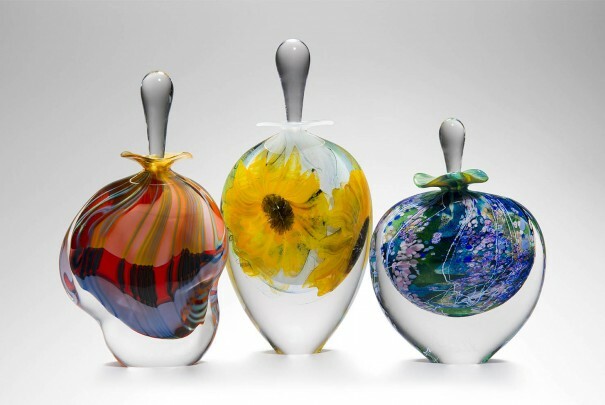 The flowers are achieved in a painterly manner through applying multiple layers of coloured glass. 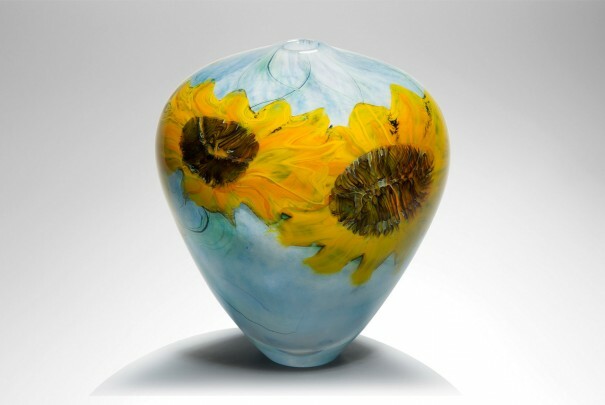 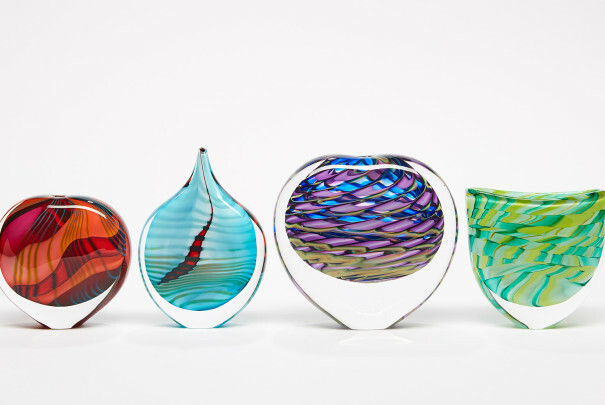 The making of Sunflowers from London Glassblowing on Vimeo.